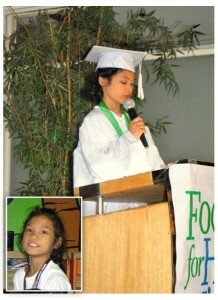 Two years after graduating from HM, Toni got to practice her teaching skills. 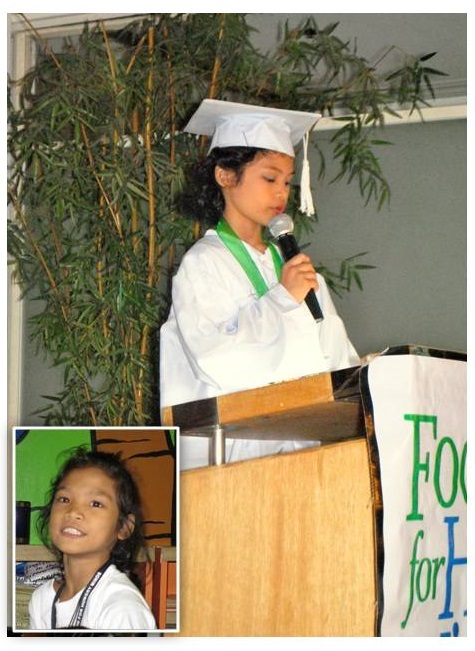 Aside from visiting her school and teachers, she wanted to teach the Hungry Minds children as a way of giving back. Although nervous, this Sisters of Mary Girlstown 9th Grader was prepared. She had a lesson plan and had activities for the class. Her former teachers were delighted to see their former student teach the younger scholars of Hungry Minds. 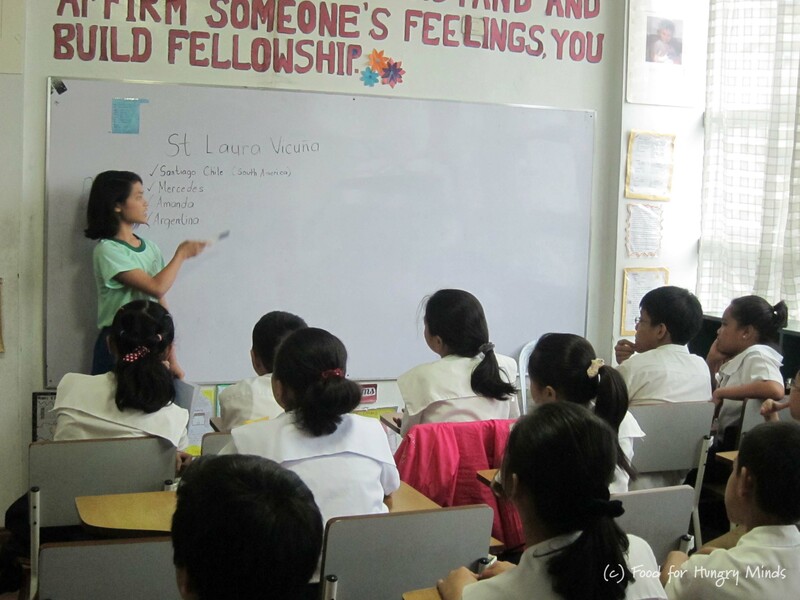 Toni practiced her teaching skills as she discussed the story and lessons in the life of Blessed Laura Vicuña to the Grade 6 Hungry Minds Manila students. Photos: (Left) Toni with her “students” for the day, Grade 6 HM Manila kids; (Middle): Toni with one of her favorite HM Teachers, Teacher Mel; and (Right): with the Hungry Minds team who saw her grow from the time she was in Elementary.